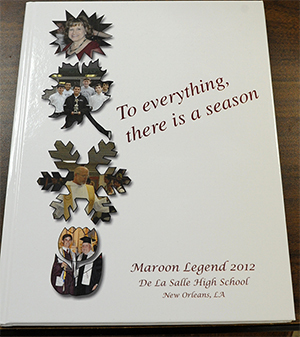 Recent yearbooks from De La Salle High School in New Orleans, LA, have received national and state awards. 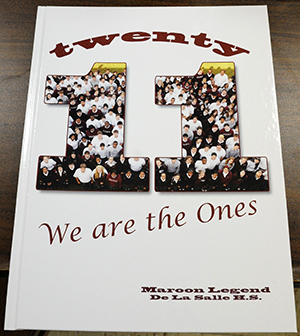 The 2011 and 2012 editions of the Maroon Legend are both being honored. The 2012 edition, under editor James Bewers, received a “first class” rating in the National Scholastic Press Association’s contest. The Association highlighted several strengths of the yearbook, including its broad coverage of activities and events, consistency with theme, variety and quality of photos, writing and more. The 2011 yearbook, under editor Brittany Dupre, took first in the small schools category competition in the statewide Louisiana Scholastic Press Association, a high school journalism group headquartered on the Louisiana State University campus.